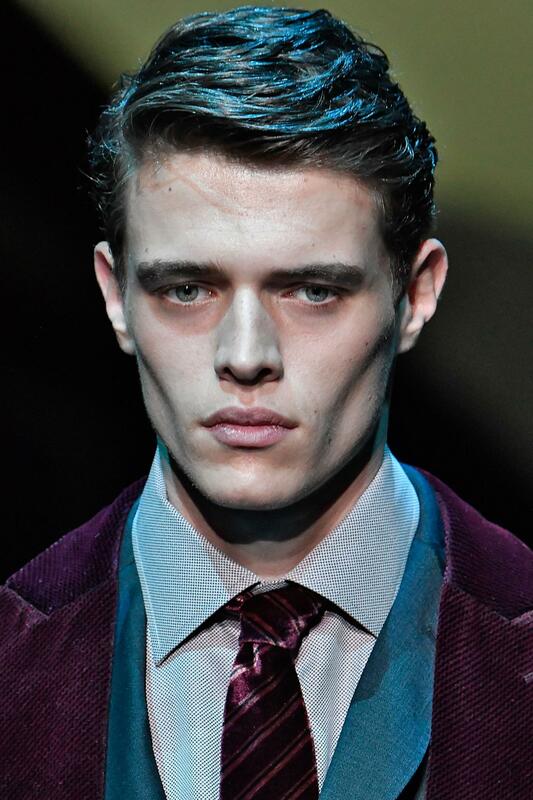 If we’ve learnt anything from the men’s catwalks this season, it’s that Don Draper-esque side slick hair is in and is here to stay. This means that now, more than ever, is the opportune moment to stop going for your standard trim and try something completely new. Need some guidance? We’ve got you. Here are 6 runway gentlemen rocking the classic style, all of which you should take note of. And who knows, you might just find a look worthy enough to take to your barber! Prefer to live on the classic side on the hair spectrum? Then you’ll be glad to know that this cut has been sported by public figures, business moguls and Hollywood’s leading men from the 1920s all the way to present day. And the reason this style has a such a cult status is no big secret, either! 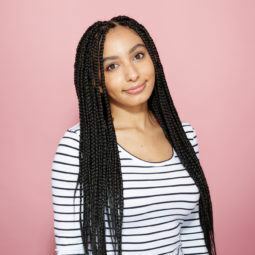 Its low-maintenance (you only need one product to style it), face-flattering and compliments most hair types — so it’s not hard to see what the fuss is about. 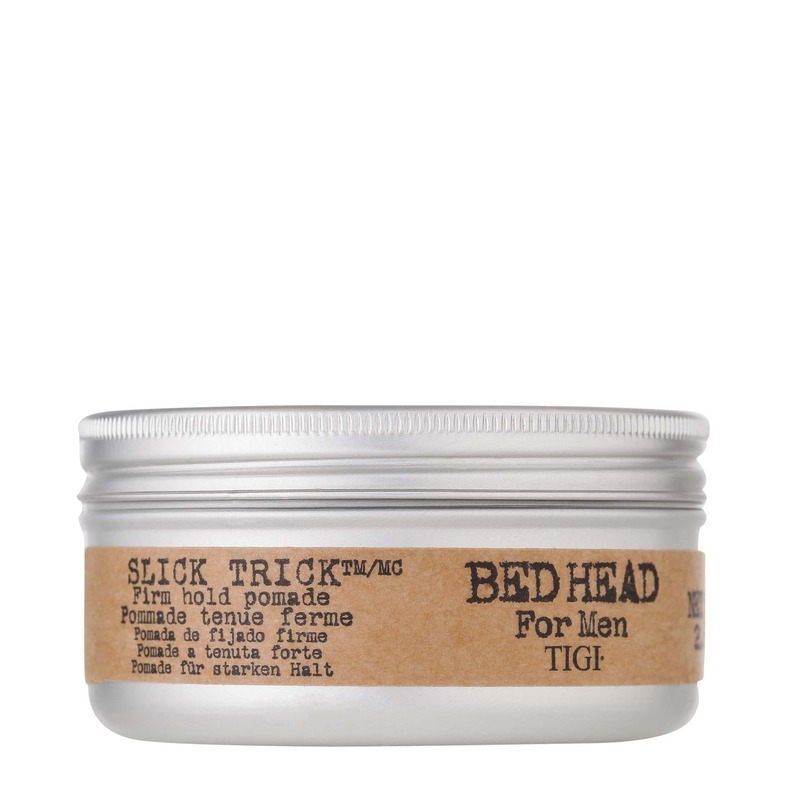 Editor’s tip: To get the look, you can either use a gel or a pomade, like the TIGI Bed Head Slick Trick Firm Hold Pomade. This will give your side slick hair style a high-shine finish that lasts 24/7, meaning you can rest assured that you’re ‘do is looking on point all day. 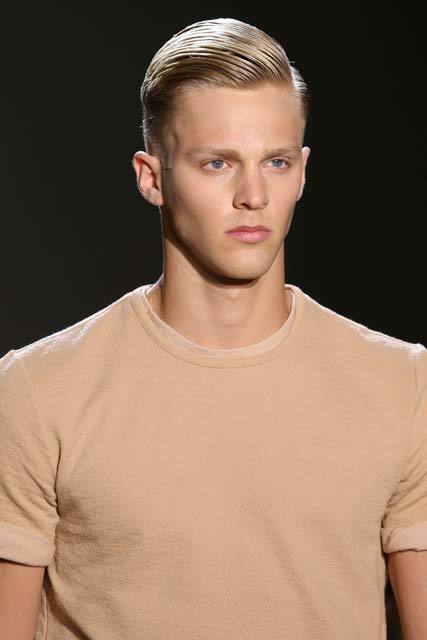 Think having side slick hair means you can’t play with texture? For this season, the look is getting a modern, messier upgrade and being rocked with a bedhead finish. 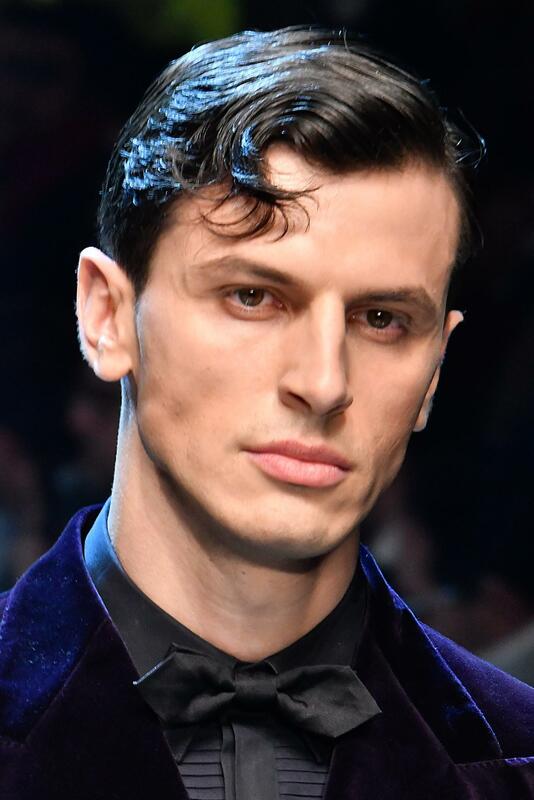 As this male model demonstrates, this casual, undone side slick hairstyle looks just as good as the classic version and is made for gents with wavy to curly hair textures. Cool, right? Just because your getting a new cut, that doesn’t mean you can’t experiment with different hairstyles. 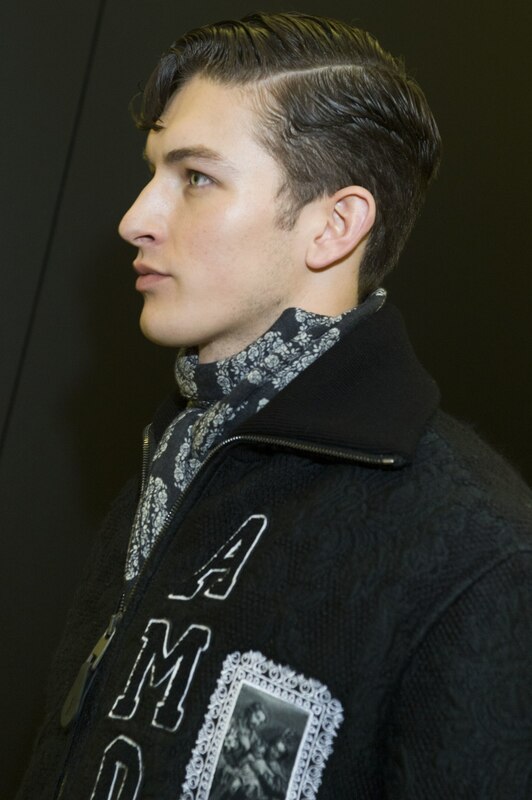 In fact, sweeping your side slick hair back, like this male model has done, is a great trick to try if your style is in need of a little refresh! Be as subtle or as creative as you like with your hairstyle choices, but one things for sure: you’ll stand out wherever you go. If you’ve got naturally thick hair and usually sport a fringe, know that you can pull off this look with ease! Ignore whatever else you’ve heard about contrasting textures being a style faux pas, as this season you should try working your fringe in it’s natural state with slicked-down sides. Doing so will provide you with a refined, sophisticated look which also embraces the more relaxed effect given off by your long fringe. It’s the best of both worlds! 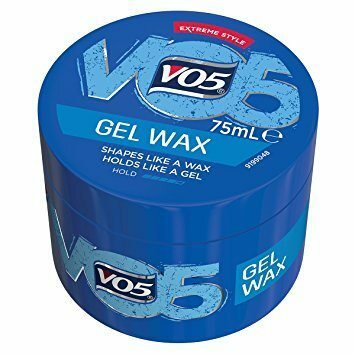 Editor’s tip: To get this stylish look, simply run some VO5 Extreme Style Groomed Gel Wax through your fringe, twisting your strands in opposite directions as you go. Aren’t afraid of taking risks when it comes to your hair? 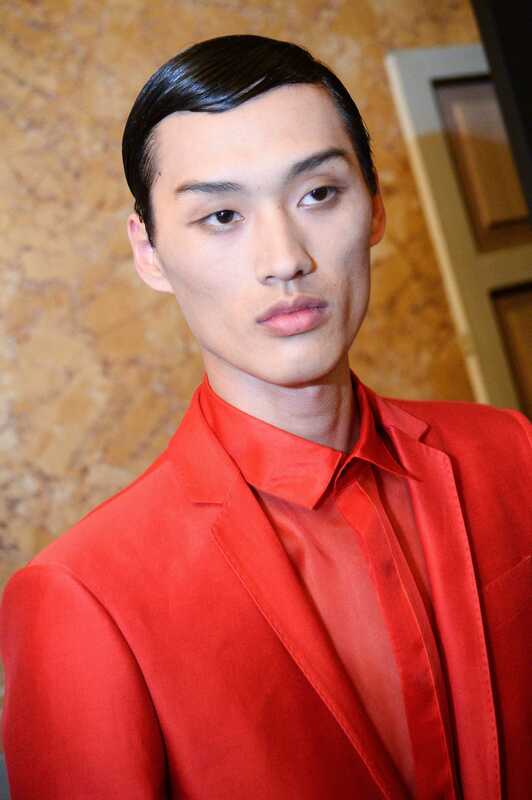 Try a deep side slick hair part, which we spotted this bold male model rocking. This directional take on the classic style is modern, yet still sophisticated thanks to the slight wave in the front. Work it with a wet-look finish, and you’ll have a ‘do that is undeniably on trend and sure to win you plenty of style points. Who said you can’t pair a slick side hairstyle with a taper fade? Add a contemporary touch to this otherwise classic hairstyle by opting for a fade or an undercut and you’ll instantly give your ‘do tonnes of street style vibes. Feeling inspired by these side slick hairdos but unsure which look you should be trying next? Then keep ahead of the mane game by checking out these emerging men’s hair trends for spring/summer 2017, right here. Dapper hair will be yours before you know it!